Using the Azure portal is a simple way to try out a virtual machine, especially if you’re just starting out with Azure. Create a new VM by attaching a specialized managed disk as the OS disk using Power Shell. A specialized disk is a copy of VHD from an existing VMs that maintains the user accounts, applications and other state data from your original VMs. Virtual machines require a combination of resources (such as a availability sets and storage accounts). Rather than deploying and managing each resource separately, you can create an Azure Resource Manager template that deploys and provisions all of the resources in a single, coordinated operation. If you prefer working in a command shell, you can use Azure PowerShell. Use Visual Studio to build, manage, and deploy VMs with the Azure Tools for Visual Studio and the Azure SDK. VM Creation and Detailed overview of Component. Search the VM Name and Click on Azure Vm. 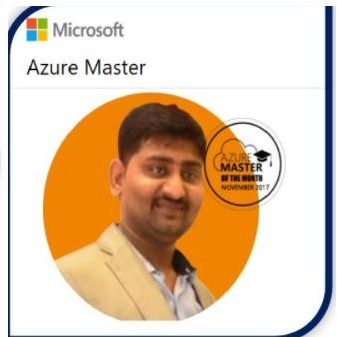 Click on Add button and select the azure OS Image (Windows server 2008/2012/2016 Linux, Ubuntu etc ) or Custom images as per your organization requirements. Azure Subscription: Organize how the cloud services are accessed & controlled how resources usage is reported ,billed and paid for. Provide the VM Machine Name/user Name/password . Resource Group: A Resource Group is a collection of resources that share the same life cycle, Permission, and policies. Vms Disk Type (SSD/HDD): Premium Disk(SSD) are backed by solid state drives and offers consistent, low latency performance. They provide the best balance between prices and performance , and are ideal for I/O-intensive application and production workloads. Standard disks(HDD) are backed by magnetic drivers and are preferable for application where data is accessed infrequently. Step-2:- Please select the size as per your Usage. Note: You can select the VM size in “HDD and SSD” based on your consumption. Step-3:- Settings Configuration based on your requirement. Storage Account: Used to storing the files, Website, Virtual machine etc. Subnet: A subnet is range of IP addresses in your virtual network , Which can be used to isolate virtual machines from each other or form the internet. much like traditional network in your data centers. Virtual machines in the same virtual network can access each other by default. Public IP: Use a public IP address if you want to communicate with your virtual machine form outside the virtual network. Save money (Save up to 40% with a license you already own. )if you own windows server licenses with active software assurance (SA), Use hybrid user benefit to save compute cost.Hybrid Use BenefitEach Windows Server with Software Assurance (either via each 16-Core license or two-processor license) is entitled to two instances of up to 8 cores, or one instance of up to 16 cores. Please always refer to your Windows Server license count with Software Assurance, your Hybrid Use Benefit entitlements, and your Hybrid Use Benefit deployments to use this benefit while maintaining compliance.VM Extension: Add new features. Like configuration management or antivirus protection to your virtual machine using extensions.High Availability :To provide redundancy to your applications , We recommend that you group two or more virtual machine in an availability set. This configuration ensure that during a planned or unplanned maintenance event, at least one virtual machine will be available and meet the 99.95 % Azure SLA. The availability set of a virtual machine can’t be changed after it is created. Monitoring (Enable/Disable): Capture Serial console output and screenshot of the virtual running on a host to help diagnose startup issue. NSG : A network Security Group is set of firewall rules that control traffic to and from your virtual machine. Guest OS diagnostics: Get metrics every minutes for your virtual machine . You can use them to create alert and stay informed on your application. Enable this feature to have azure automatically manage the availability of disks to provide the data redundancy and fault tolerance, Without creating and managing storage account on your own. Note:- Managed disk may not available in all the region. Diagnostics Storage Account: Metrics are written to a storage account so you can analyze then with tools. Verify all the details one more time till Vm creates. It will take around 10-15 mins to create the VM. Once VM is created you can Download the RDP file to connect to VM. Note:- Please like and share the post to your friend to understand the Windows Azure cloud. Next postAzure Storage Account Overview & Easy to understand.